Rains can be worrisome for your homes if correct measures aren’t taken in advance especially for your walls. Waterproofing well before the rains start is a safe way to keep those walls dry. 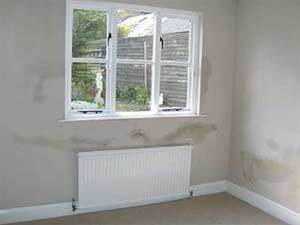 However, at times rainwater patches may appear despite the waterproofing and you may wonder what to do next, fret not. Luckily for you here are some easy steps to identify your problem and then fix it for good from the long-run perspective. Penetrating patches or penetrating dampness is usually caused by the rainwater seeping in through the walls. You will notice that these patches disappear on their own once the rain stops for a few hours or days. But this can cause some serious internal damage to the walls and the structure of the house. An easy tried and tested fix for this is Dr. Fixit Wonderproof1. This is a revolutionary waterproofing technique that has a breathable coating that combats negative water pressure. The best part about this is that it can be applied on the damp areas or even on wet walls. There can be a slight crack in the render or a deep leak in the walls that may cause the dampness to increase when the rainwater hits the surface area of these walls. But this is an underlying issue of the previous waterproofing solutions not working up to the mark. Dr. Fixit’s Wonderproof2 is a waterproofing leveling plaster that will provide a smooth finish on your walls and it is self-curing. It is usually applied after the application of Wonderproof1 so that the dampness has no scope to overflow and is sealed in completely. Constant or heavy rains can cause water to seep through broken or slipped roof tiles. Same goes for the walls too. Due to old bricks becoming porous in nature, there is ample scope for rainwater to keep seeping through. A safe, easy and sure shot method to get these wet patches out of your way is to opt for Dr. Fixit Dampguard. It provides an excellent adhesion to all cementitious substances and since it is a water-based epoxy coating, it is an immediate and an effective way to treat your walls and ceilings of rainwater dampness. Plus this is highly cost effective too. Do you see damp patches at the undersides of your window frames, especially from the inside? Chances are the mortar between your windowpanes and the wall must be either loose or may have completely fallen out. Either way, you need to find a solution that fills in the gap and doesn’t allow the rainwater to seep through. Small things like these can be easily fixed and need immediate attention before it leads to further damage of your residential structure. The mortar needs to be replaced along with the application of Dr. Fixit Dampguard4 on the inner walls to seal it and prevent dampness. I hope these simple tips help you choose better and cost-effective means of getting your homes rid of the rainwater patches completely.